Some practice with the structure 'be going to, to express future actions. The present printable, downloadable handout is best suited for high school students and elementary school students at Elementary (A1) level. 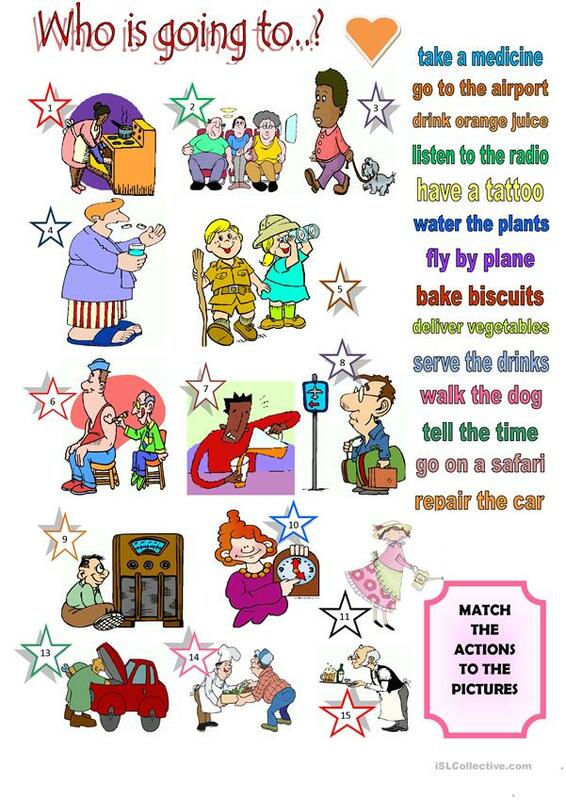 It is a useful material for revising Future tenses in English, and is excellent for enhancing your groups' Writing skills.